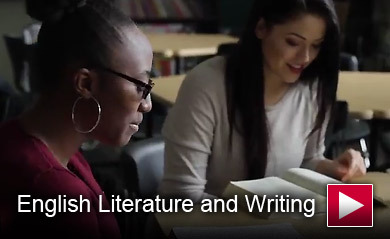 The English major at Minot State University promotes the development of rational and creative abilities through the study of literary texts of various media. The program will have succeeded with those students who become independent scholars realizing the range of their abilities, the multidisciplinary and global natures of their study, the ethical dimensions of their work, and the contexts and strategies for writing and reading. The English Department envisions majors who become increasingly independent learners across the four years of their undergraduate education. We envision students who gain confidence in themselves and with that confidence express their ideas clearly and boldly; who are tolerant of others and comfortable with contradictions, complexity, and ambiguity; who are seekers and creators. We envision majors who grow in understanding of their own discipline within the broader context of liberal studies and of global cultures. Ultimately, we envision majors who are empowered by their education to interact effectively and usefully in their society. 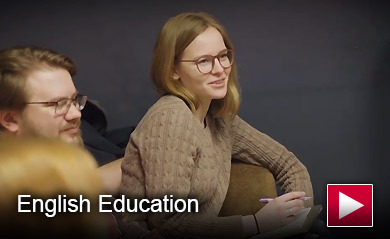 The English major will gain foundational knowledge, use that knowledge with a sense of professionalism and to move toward creative problem solving, and carry that knowledge and problem-solving abilities with them into their careers. Interested in studying Writing and Literature?